Starting with the decoration of her bedroom at age 9, Kirsten Grove's passion for interior design has led her to dress the homes of clients all over the world. Her designs have been featured in a plethora of online and print publications and have won numerous awards. Whether a picture of a stunning living room or beautifully staged end table, Kirsten's Instagram promises a steady flow of all things gorgeous. 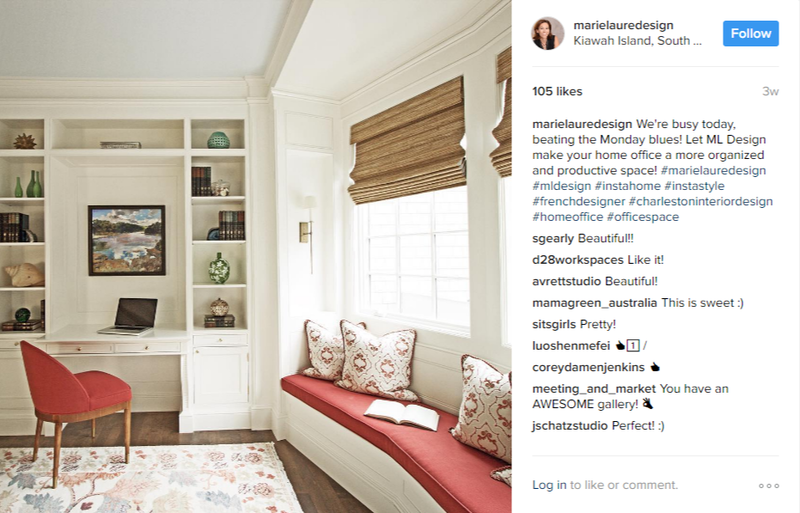 @marielauredesign - ML Design Interior Design firm in Charleston SC and beyond. Having lived both domestically and internationally, Marie-Laure Kosian approaches designing interior spaces with an abundance of experience. She uses modern and traditional element to transform space into comfortable and timeless atmosphere. Marie-Laure's Instagram is sure not to disappoint; her travels and design inspiration make for a diverse blend of content. 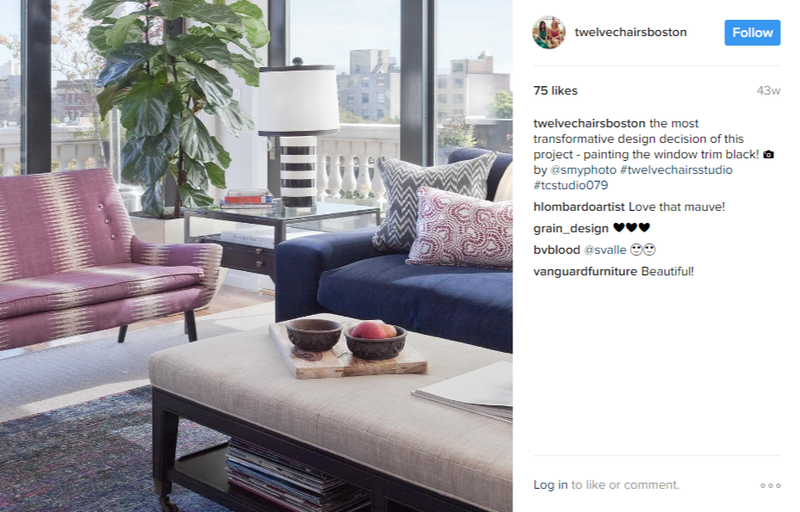 @twelvechairsboston - Miggy Mason + Roisin Giese cofounders of twelve chairs residential interior design studio. Miggy and Roisin's story begins over ten years ago when they met in a studio design course. From there their shared aethetic and design sensibilities helped build a flourishing business in the heart of Boston. The pair seeks to transform homes into layered works of art that also eminate the personality of their client. Followers of their beautiful Instagram profile enjoy virtually visiting current in progress projects as well as stunning photos of finished works. Brian Patrick Flynn spearheads not only a successful production company, Flynnside Out Productions, but also creates stunning rooms as an interior designer. Originally a TV Producer, Brian tried his hand at residential interiors. His swoon-worthy designs are often highlighted through his station as a featured HGTV designer. 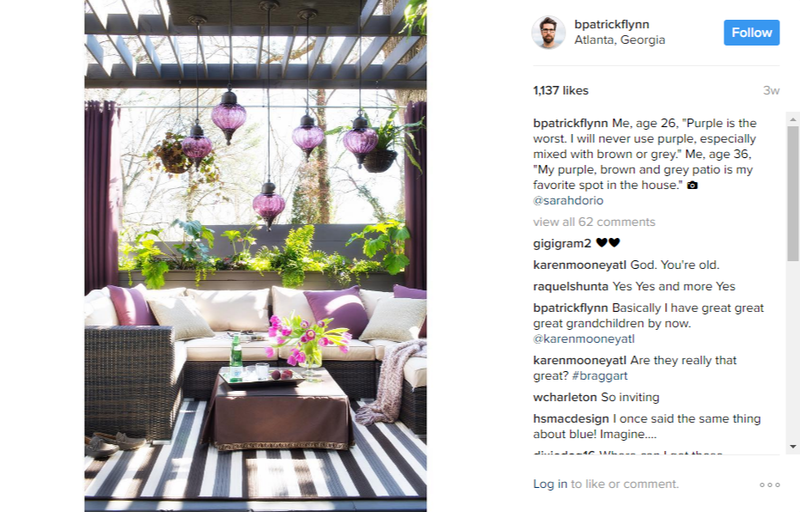 Brian's Instagram is the stuff of design fairytales; he pairs modern style and traditional accents with splashes of beautifully cultivated colors and patterns. Tiffany LeBlanc started her career by training in the Residential Interiors Program at Boston Architectural College. Founded in 2005, her boutique interior design firm services the Greater Boston area with a focus on traditional design and warm aesthetics. Tiffany's color choices in her projects often reflect materials found in nature and emphasize a calm and refined appeal. 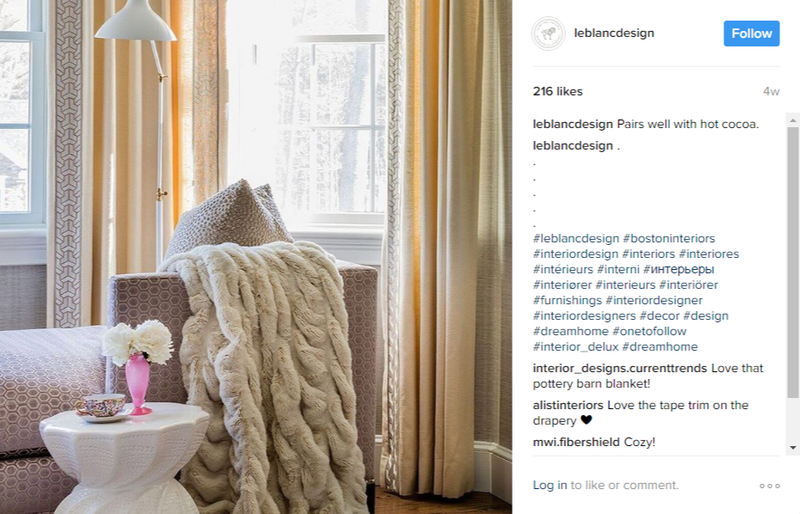 Followers of LeBlanc Design's Instagram page are treated to stunning New England design in combination with a sampling of Tiffany's travels and inspirational artistic quotes. Benjamin Vandiver launched his full service interior design and lifestyle brand in Nashville during 2012. His refined manifestation of design serves as a chameleon for his clients, serving to offer an unending palette of expressions. 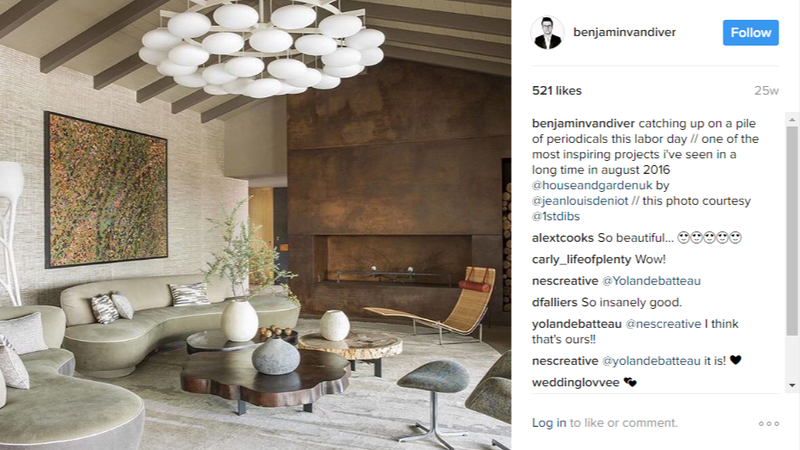 Benjamin works closely with his clients in New York, Nashville, and Los Angeles to bring a finished product coveted by many. He has been recognized by Vogue magazine among many others, and was named by Architectural Digest as "One to Watch", a high honor for a new designer. Benjamin's Instagram page treats followers to a sampling of his modern take on style as well as places or items from which he draws his own inspiration. After earning a business degree and working in advertising for a few years, Kate Maloney Albiani redirected her focus to interior design. Kate is a self taught designer who has been practicing in New England for over a decade, bringing her clientele high end rooms that are not only beautiful but comfortable. KMID is a full service design firm whose appeal stems from a professional, youthful approach that balances form and function. Their work has been featured in New England Home Magazine, Boston Home, Boston Globe Magazine, and Design New England, and the designers even hosted an episode of HGTV's House Hunters Renovation. 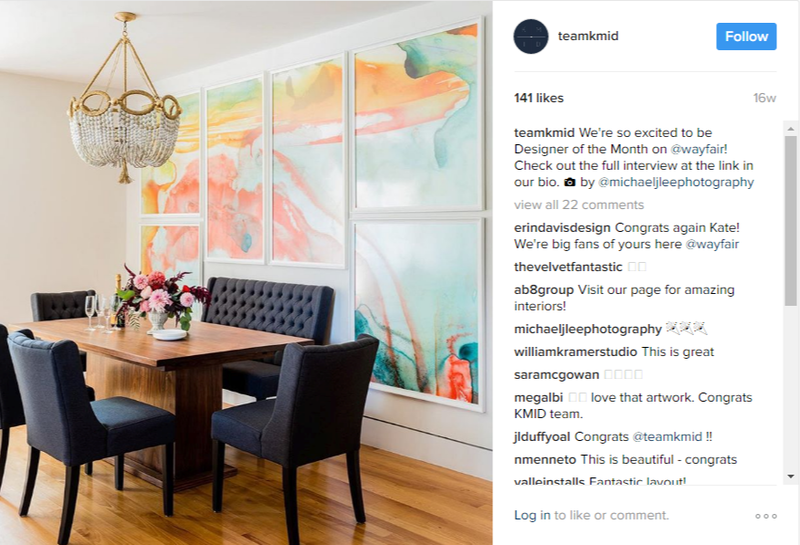 Whether a chair or an entire room, KMID's Instagram feed brings a lovely mix of design inspiration for New England lovers and doses of personality courtesy of the KMID team. Anissa of Anissa Interiors is a full time wife, mother, blogger, and interior stylist. She fully admits to not knowing at the "rules" for interior design, but her beautiful rooms speak volumes of her talent for transforming ordinary spaces into carefully chosen compositions. The name of her company, House Seven, comes from the number of homes her and her husband have lived in. While she agrees that moving that many times is arguably insane, she sees each move as an opportunity for style reinvention. Anissa's Instagram offers an intimate look into her own family's design style as well as works and inspiration fueling her business. 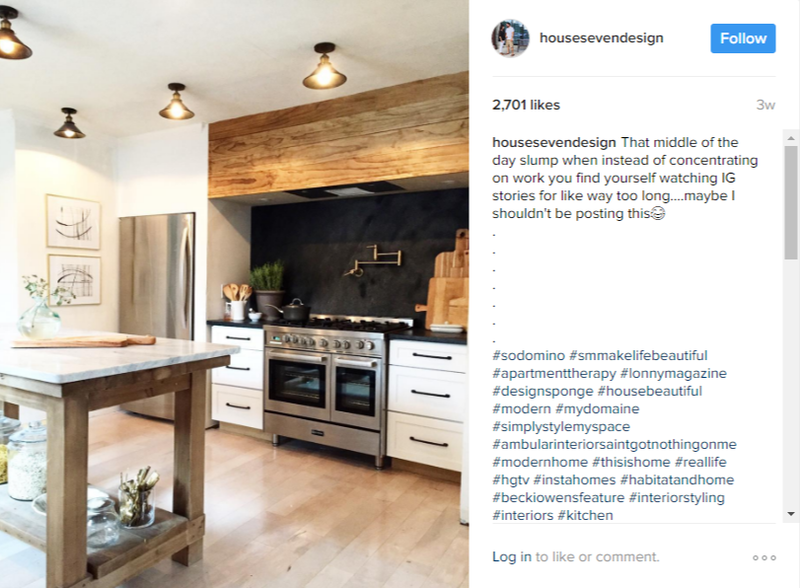 @homepolish - Homepolish Every project here has been designed by one of our 500+ talented designers. Homepolish works a little differently than what most would expect from an interior design firm. When working with Homepolish, clients are given access to the country's top emerging interior design talent, a superior shopping experience, and high end customer service. Whether in home or virtually, clients work with a team dedicated to making over their chosen space with as much personalized attention and detailed touches as if they were working with a single individual. 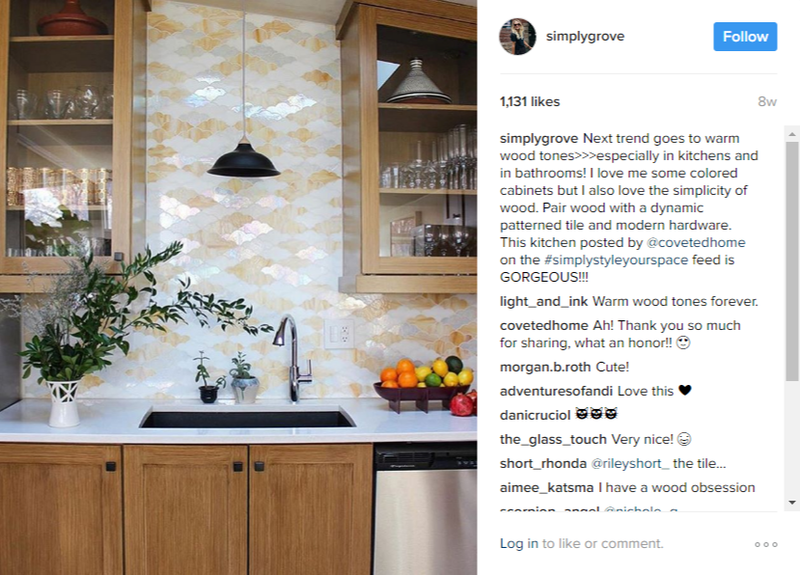 Homepolish's Instagram showcases their designs from all over the country in a multitude of tastes. Followers enjoy a plethora of design ideas ranging from nurseries and living rooms to kitchens and bathrooms. Jill Goldberg is the founder of HUDSON, a fine home goods retail store, and Hudson Interior Designs. Her impeccable sense of style and capture of modern New England home design has helped her businesses skyrocket to among Boston's elite. With a foundation in classic design, Jill's mix of traditional, modern, and vintage define the Hudson Interior Design style. 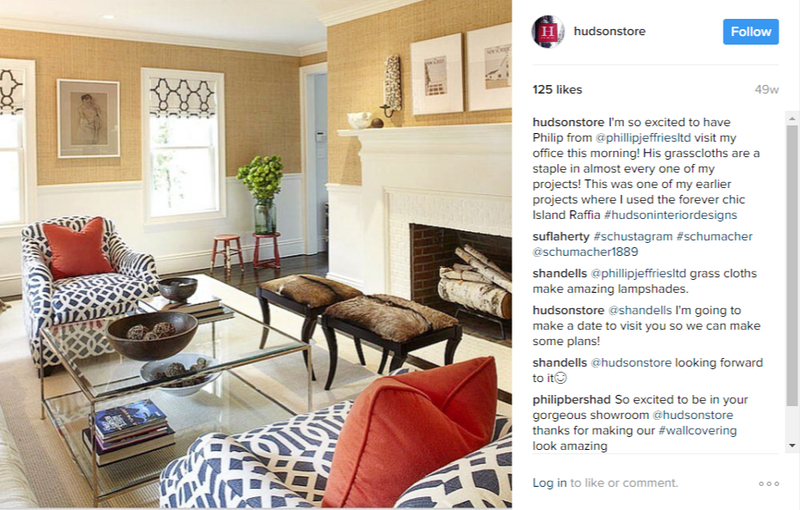 The Hudson Store Instagram can help even the most style inept find inspiration; their feed highlights as much in textural influences as it does in finished projects. Even if you don't have any new design projects coming up, the Instagram accounts listed above are sure to give some feel-good sentiment as well as helping to amplify creativity. Which is your favorite, or do you have a design account you follow that we didn't mention? We'd love to chat about it with you.